I’ve been thinking a lot about DIY cleaning supplies lately. 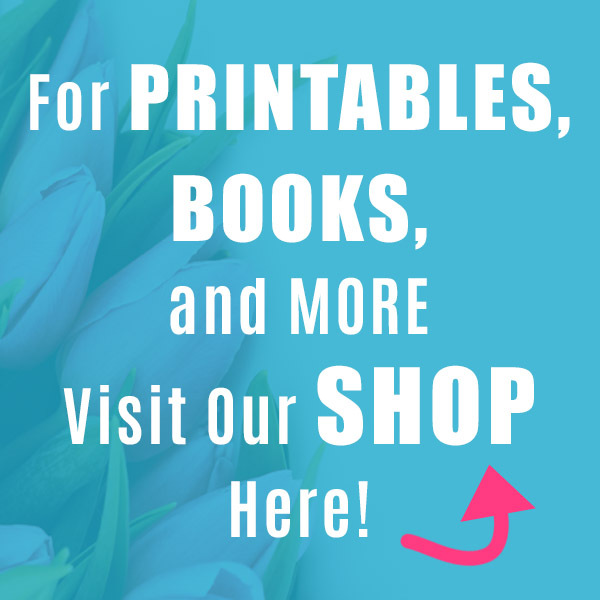 Probably because spring cleaning is coming up soon! 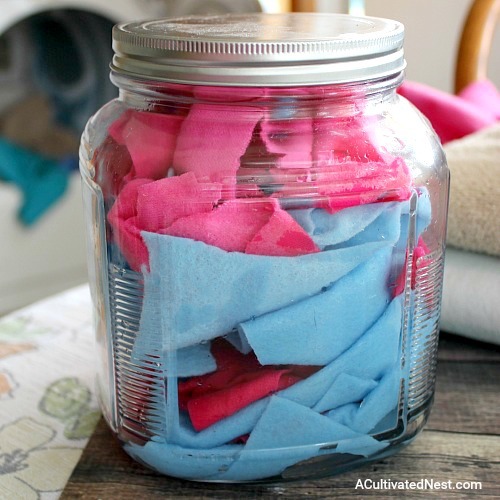 I already have a lot of homemade cleaners, but one thing I hadn’t made was my own dryer sheets! I know most commercial dryer sheets are full of some really nasty chemicals, so I’ve been using a naturally derived brand. 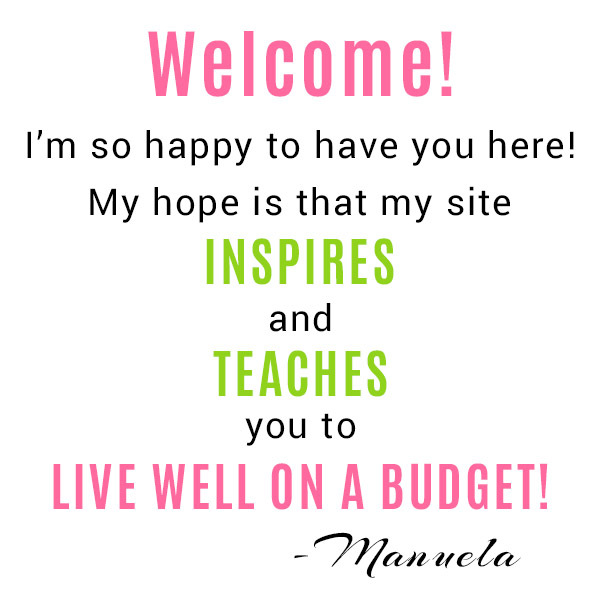 But they’re pretty pricey. 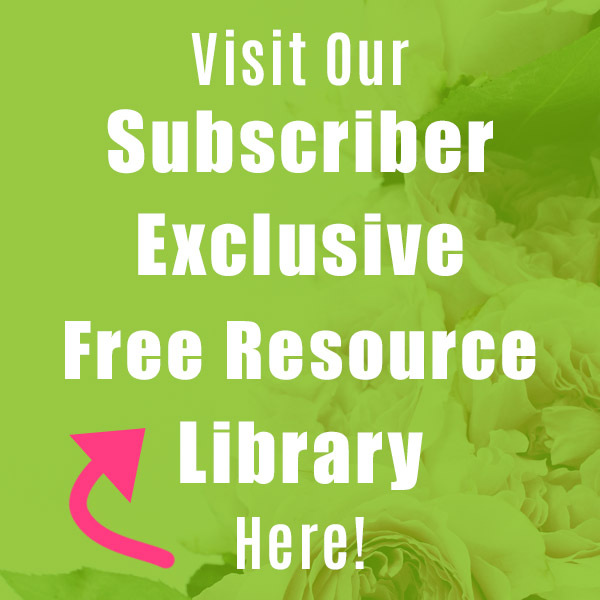 I figured there had to be a way for me to DIY my own natural dryer sheets for a much lower cost, and I was right! 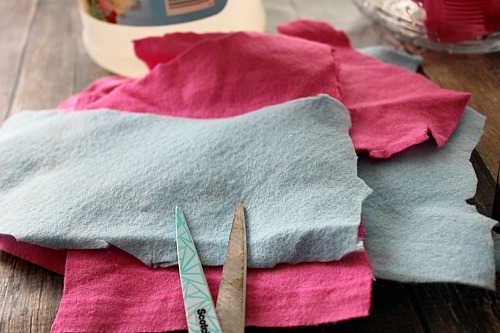 Here is how I made my Reusable Homemade Dryer Sheets! 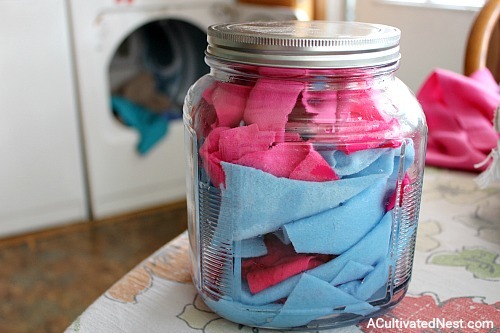 These DIY dryer sheets are also fantastic because you can customize them with your favorite scents (via essential oils)! Or leave them completely scent-free, if you prefer. 1. Cut your fabric into squares roughly 8 x 8” (there’s no need to be exact, or even particularly neat). I like to use felt or flannel because it doesn’t fray like other fabric blends do. This way I don’t need to worry about any frayed edges, but you can use whatever you have on hand. Cut enough to stuff your jar full. 2. Add 2 cups of vinegar to your jar, this Anchor Hocking 1 ½ gallon jar is functional but would also be really pretty in your laundry space. 4. 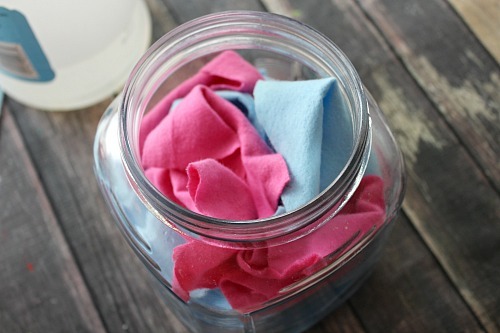 Finally, start stuffing your jar with the fabric pieces you cut. Keep stuffing and soaking up the vinegar mixture until no more liquid can be absorbed. Stir, place lid back on and shake it, then flip them with your hand until all are soaked well. 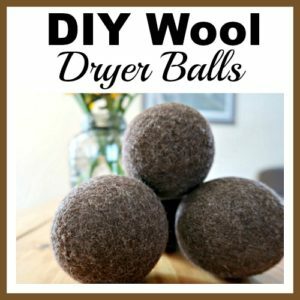 Then your reusable homemade dryer sheets are ready to go! Toss 3-6 damp DIY dryer sheets into the dryer with your clothes at the start of the load. 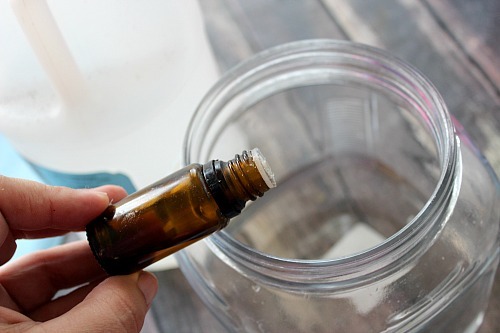 Remove the dry cloths at the end of the cycle and toss them back in your jar in the bottom to re-absorb moisture. 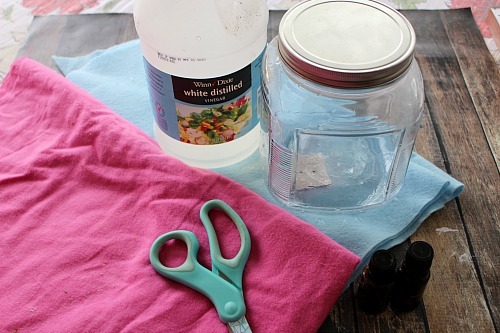 Once your vinegar mixture is no longer soaking the cloths, just make another batch to pour over the dryer sheets. 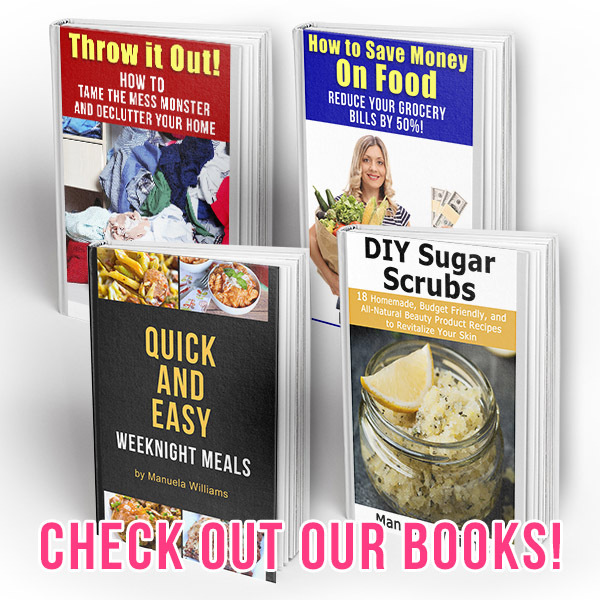 Do you use any other DIY laundry products?